Boulder is neatly tucked into the foothills of the Rocky Mountains, just 35 miles northwest of Denver. 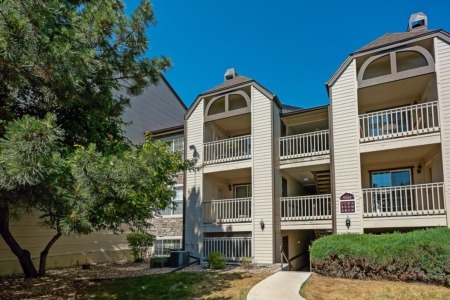 Boulder offers a variety of properties for sale from modern condos in close proximity to Pearl Street, as well as mountain homes and land. Since its founding in 1868, as a supply town for nearby mining communities, Boulder has become one of the most progressive and visionary locales in the country, known for its natural beauty, outdoor recreation, diverse businesses, and technological and academic resources. Visitors can enjoy the benefits of a community created by residents who embrace a healthy, culturally-enriched lifestyle. Shoppers and restaurant goers enjoy the close proximity to hundreds of restaurants and shops - including Boulder's famed Pearl Street Mall. For arts and cultural enthusiasts, more than 30 art galleries, 40 local museums, 32 movie and stage theaters, and many festivals including the Colorado Shakespeare Festival, provide a wealth of options for every visitor. Whether you are an outdoor enthusiast, seeking intellectual stimulation or want a relaxing getaway, a variety of experiences await you. Visitors and residents alike enjoy the benefits of a community devoted to healthful living, and the cultural benefits offered by such a lifestyle.Backed by a solid infrastructure of bicycle paths and lanes and a transit system like none other in the nation, Boulder residents bus, bike or walk more often than people in most American cities. This city offers countless year-round recreational activities, including the renowned Bolder Boulder 10k race, held every Memorial Day. In addition, there are 200 miles of public hiking and biking trails, approximately 30,000 acres of Open Space as well as the 16-mile Boulder Creek Path.